The critically-acclaimed comedies got the go for second rounds. Julia Louis-Dreyfus is the America's Number Two in "Veep." 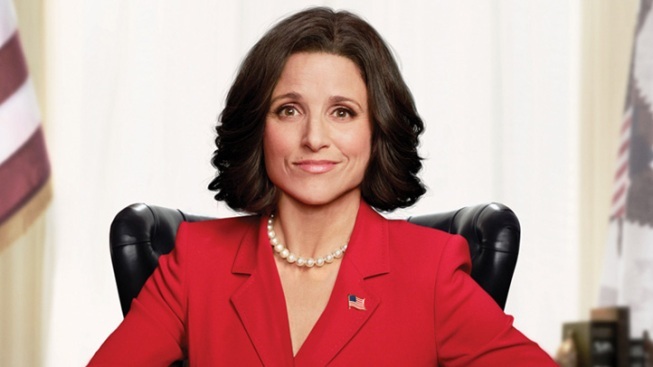 "Veep" is getting a second term on HBO, as is the comedy "Girls." The pay cable network announced Monday that both of the comedies, which debuted this spring, will get second seasons. HBO ordered 10-episode seasons for both of them. "Girls" has been the recipient of some rapturous reviews. It was created by Lena Dunham, who stars as one of four young women in an up-to-date coming-of-age story based in New York City. Reviews for "Veep" were more mixed, but the star power of Julia Louis-Dreyfus initially brought in more viewers than "Girls." Louis-Dreyfus plays Vice President Selina Meyer, forced to endure some of the ritual humiliations of being second-in-command.